The modern litigious society today recognizes the significance of gender parity. Women have taken up various leadership roles as their strengths, educational levels and leadership qualities continue to shine in multiple industries like marketing, manufacturing, production, economics, politics and many more. For instance, in Singapore out of the 88 elected parliamentarians, 20 of them are women and three out of nine nominated members of parliament. However, this recognition is still below average, and women continue being under represented. Gender equality seems so close yet so far away and while we wait, there is a lot that can be done to equip women to become leaders. While it’s not just the glass ceiling which holds them back from achieving this prime target; more often than not, they consciously or unconsciously contribute to some of the self-imposed barriers. Many fear getting criticized when they try to incorporate motherhood and leadership. They view themselves as unreliable and may not get enough courage and will to plunge, seek or attempt more demanding responsibilities. 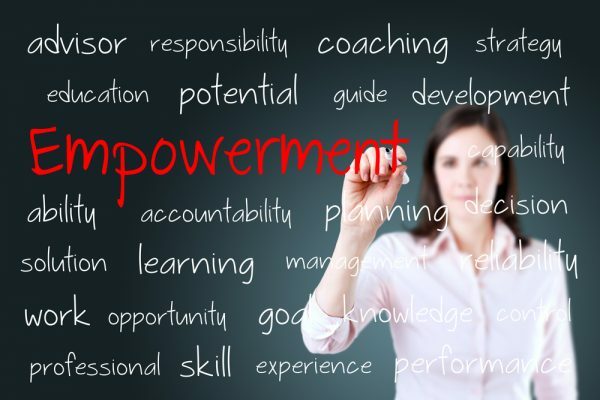 This article discusses some of the tips to guide women who wish or are considering to take up a leadership position; to empower and prepare them for this lifetime role. The most critical step before anything else is ‘motivation’—it is what helps you get up and try again even after you’ve failed. When you’re motivated nothing brings you down, you embrace failure and take positive steps of learning from it. As a woman, fear should not define your character. Success may never be guaranteed if you don’t take courage, step up and try. Motivation will keep you going and helps you develop that passion for persistence and performance. In most cases, you may not achieve much in the first trials, but after several attempts, you will get it right, only if you’re motivated to succeed. Many people in Singapore particularly the young women have a tendency of coming up with creative ideas but fail to act upon them. They either disregard or simply ignore till it’s too late. In leadership, however, people look up to you for guidance, answers, and the way forward. This responsibility is not temporary but a long term one; therefore, you have to take the initiative every time for the team under you including speaking on their behalf. Remember the success of a team heavily depends on their leader. Let your team or your boss understand that they can trust your leadership skills; that they can count on you. When you take up the initiative to lead people, they learn to cooperate and coordinate with you and eventually, the whole responsibility will fall upon you. Some leaders are born while others are made, but in both cases, they must have learned to lead from their predecessors or from books or simply trained by others. That is why learning to be a leader is crucial most essentially to women who have various worries. Leaders also do not know everything. In fact, most leaders rely on information and guidance from other sources like journals, books, articles, blog posts, and newspapers—the same reason leaders have personal advisors, personal assistants, and financial advisors. Sometimes having leadership skills or acquiring excellent grades doesn’t guarantee that you’re a good leader. Leadership requires the courage to convince people to believe in you and follow your rules and principles—it comes from within you. Do enough research predominantly on the subject of leadership management. You may find that you have acquired a lot of knowledge on leadership. Standard management classes can also go a long way towards providing you with ample insights and the general overview of the expectations needed for one to become a leader. Most leaders today are very generous when it comes to sharing leadership related content. Many of them write books, journals or use any other material that may leave a message or two for future generations. There are always summits, conferences, auditions, exhibitions, seminars, and many other meetups where leaders are invited to speak or demonstrate various leadership skills. Regardless of the type of leader you want to emulate, pay attention to what they speak, how they speak it and to whom they speak to. Don’t follow a woman who is a leader because she is a woman, your mentor could be a man, a person who exemplifies success, who has sacrificed so much to get where they are and goal oriented—it could even be a young person. By having a leader who inspires you, it is easy to simulate some of their qualities and traits and combine them with your own well-established leadership style. If you still haven’t been promoted or made that leader, you wish to be, it is probably because you have not attempted to take up the responsibility. For instance, a deputy manager takes the role of a manager when he or she is not around. As a leader to be, try and take up your superior’s tasks when away and volunteer where necessary for extra duties. Utilize this opportunity to take charge and run things. Although it is short-term, it will grant you an approach and opportunity to fathom the do’s and the don’ts when running a company in a senior position. It will also offer that exposure that you require to help you determine whether you can be a productive leader or not. One of the most challenging aspects of a leader is that you are not just accountable to yourself but your entire team or anyone else encompassing you. For instance, in a situation where some police officers shot an innocent person while they were chasing criminals in a crowd, the leader of the law enforcement officers will not just have to speak to the enraged mob, but also be accountable before the head of the police service indifferent of who took the shot. A leader does not give excuses or place blames on others; instead, they apologize or accept the responsibility if necessary to resolve cases and bring order.